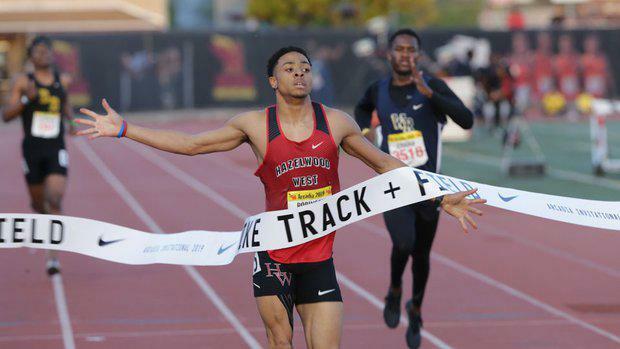 It seems that every time Justin Robinson steps onto the track he puts on a show. His trip to California for the Arcadia Invitational was no different. He picked up the victory in the 400m with a US #1 time of 46.22 just a mere .02 from his PR from last year. That is a full second faster than he ran at Arcadia last year when he ran 47.24. It would appear that the 46 second barrier is in real danger of getting broken later this year. In addition to the 400m, he also took second in the 200m with a US #15 21.06 which was nearly a half second PR. The defending Class 3 State Champion and recent Indoor All-American in the triple jump kicked off his outdoor season in style at the Jackie Joyner-Kersee Relays in East St. Louis this weekend. He was able to pick up the victory in both long and triple jump. 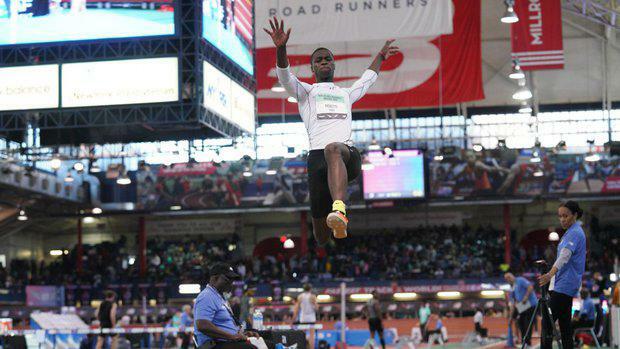 His triple jump was new outdoor PR of 48-6, which is currently a US #15 jump. Not a bad way to kick off his senior season. Last year's third place medalist in the Class 5 high jump got his season started in a great way at the Dan Sebben Invitational at Webster Groves this past week. He was able to clear 6-10 for a new PR, which is also the MO #1 and US #7 jump right now. It looks like Wise will be looking to challenge for the state title in May this year. The SLUH junior had a stellar 2019 800m debut last Friday night at the Eureka Boys Invitational. He picked up the win in the 800m with a MO #2 1:55.61, just a few tics of his PR of 1:55.53. This is the earliest he's every ran 1:55 during the season, as he didn't run that fast until State last year and the year before it wasn't until the AAU Junior Olympics. With that being said, he should have some room to grow and be in the hunt for what looks to be a very interesting Class 5 800m race in May.